This gluten free flour mix is a blend of garbanzo bean flour, potato starch, whole grain white sorghum flour, tapioca flour and fava bean flour. It’s a fantastic option for people with celiac disease or a gluten sensitivity. 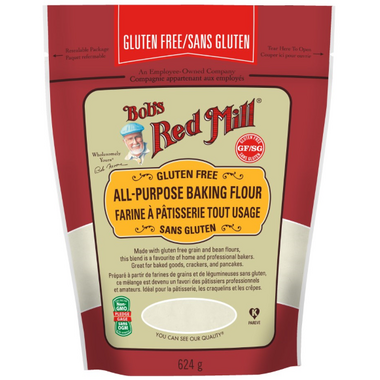 This gluten free flour blend can replace regular all purpose flour in a variety of recipes—just add xanthan gum or guar gum. 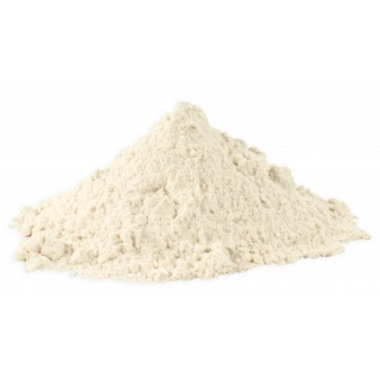 One 1/4-cup serving of this all purpose gluten free flour contains 4 grams of fiber. This gluten free flour can be made into delicious homemade gluten free baked goods such as cakes, cookies, muffins, pancakes and waffles. Tips for use and a recipe for chocolate chip cookies are on the label. The fine texture of this gluten free all purpose baking flour is ideal for a wide range of gluten free recipes, including pie crust, pasta dough, pizza and more. It works well in recipes that call for baking powder or yeast, making it a versatile product you’ll reach for time and time again. So far this has been a great substitute to regular flour. I've used it for cookies, muffins, pancakes and more and the results have been great. Will definitely get again.